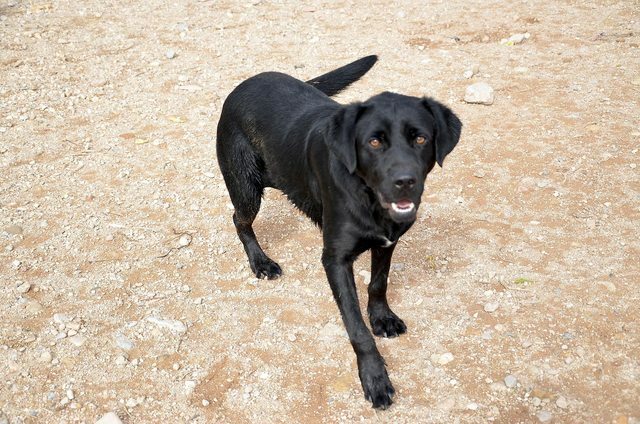 Handsome Rufo is a black Labrador cross boy who was loose in the countryside and running scared in the woods. He is the same size as a standard Labrador – approximately 55 cm tall. 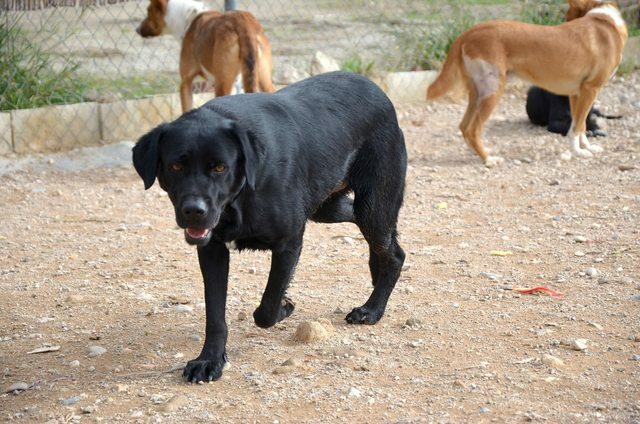 Rufo is safe and settled in the shelter, learning to interact with the other dogs and humans. He is a friendly loving boy, who gets on well with everyone. We already know he is friendly with young teenagers and both men and women. 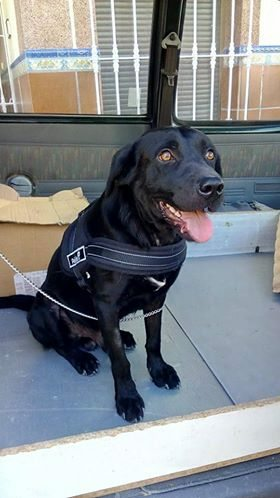 Rufo was found with a chain embedded in his neck. Despite this he is a loving, friendly boy. Once he was caught by our volunteers, he was rushed straight to our vet. He had a chain embedded in his neck, causing him massive pain and infection. Our vet thinks he was put on a chain at around three to four months old, and it was never removed or loosened. His neck has now completely healed and our vet predicts it will cause no further problems in the future. 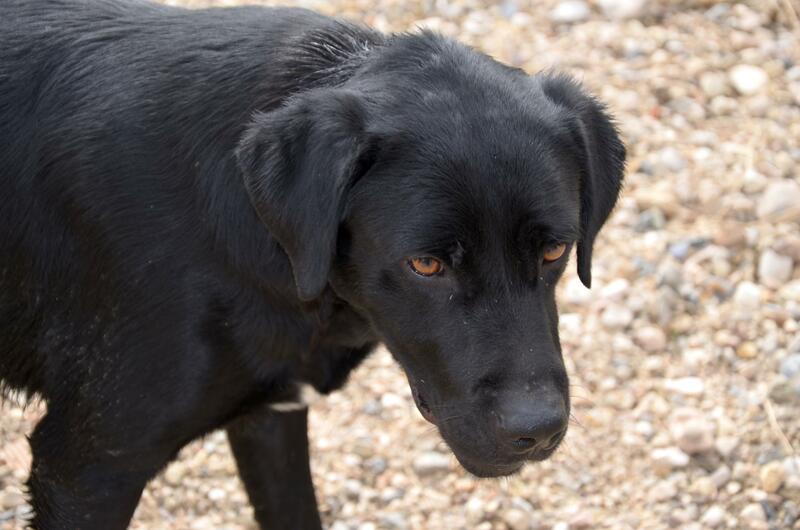 Current location is in Spain can travel to the UK once he has a home to go to. 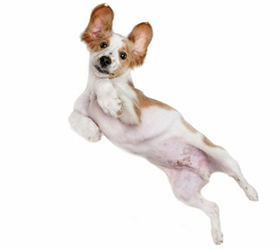 Vaccinated, wormed, flea treated, neutered, microchipped, Pet Passport, FREE 4 weeks Pet Insurance to be activated from the link on our website. Any known health issues NONE KNOWN. Adoption Fee : £365 – to be paid direct to the Spanish rescue to cover travel costs via UK bank account.